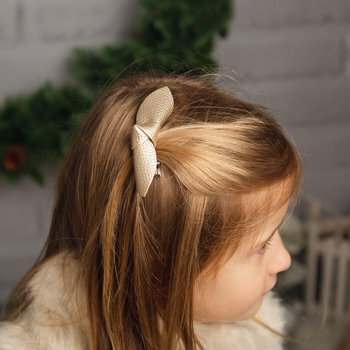 Our Alba hair bow is a gold faux leather, perfect to dress up any Sunday lunch outfit or party dress. Free delivery. All individual hair bows are shipped in a pink bag.